Illus. in full color. 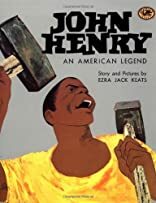 The Caldecott Medalist's powerful classic is now reissued in a handsome paperback edition, as well as a library edition. About Ezra Jack Keats (Author) : Ezra Jack Keats is a published author and an illustrator of children's books. Some of the published credits of Ezra Jack Keats include Pet Show, Apt. #3 (Unabridged), Goggles! (Unabridged).